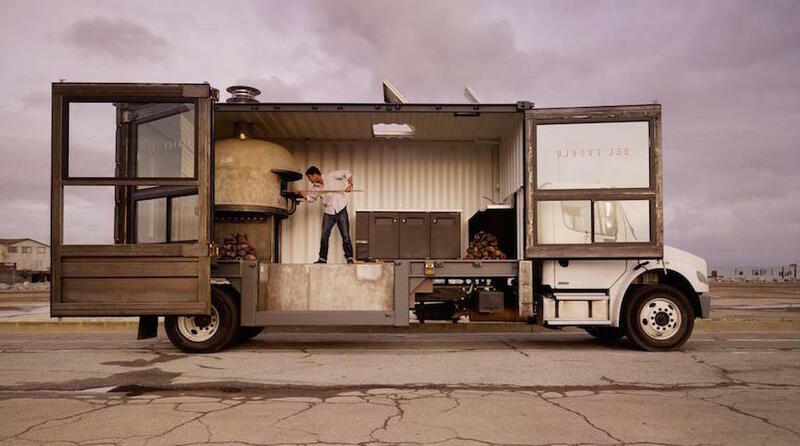 Food trucks, cantines, snack bars on wheels – however you call them, these wagons changing their food for money, moving along the streets of big and small cities. POPSOP has selected several examples of impressive design of food trucks that will “light your fire”! Trade on wheels is fashionable and original. In the West, “moving” trade is interesting to many companies, including start-ups. In Russia, the idea of food trucks, which has no transparent relations with law, attracts large holdings, including Ginza. While ones are waiting, others burning wheels. And we’ll show you how. Official sources will tell you that a team of former aerospace engineers designed and built this craft using space-grade materials at a classified site in the Yuma Desert. 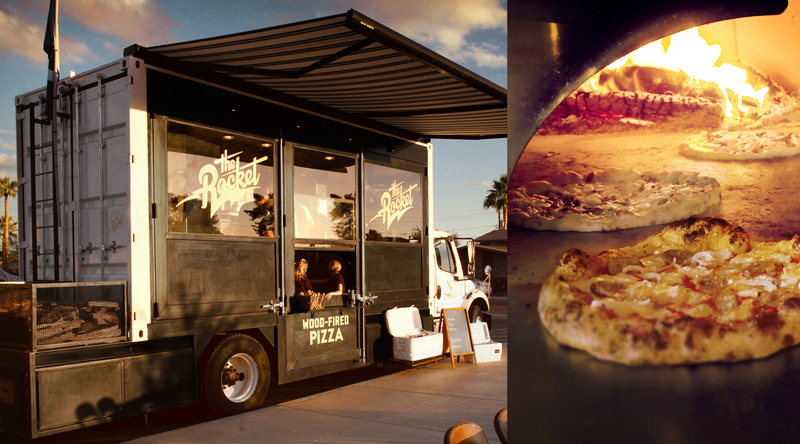 But ever since The Rocket arrived on the streets of Phoenix, rumors have persisted that powerful (ahem) foreign technology is the real force behind this cheese-melting, sauce-bubbling, dough-firing creation. The truth is that we may never know the secret behind The Rocket. 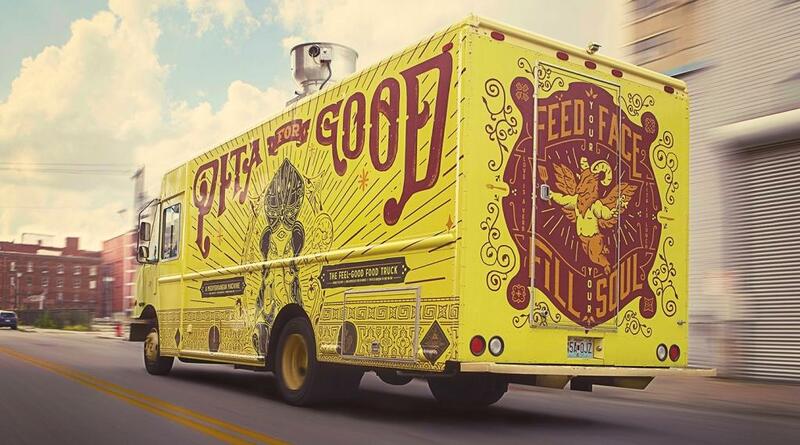 If you’re looking for some amazing, 4-star grub made on four wheels and you’re lucky enough to find yourself in Kansas City, then be on the lookout for the Pita for Good Food Truck. This is a one-of-a-kind Mediterranean Machine. 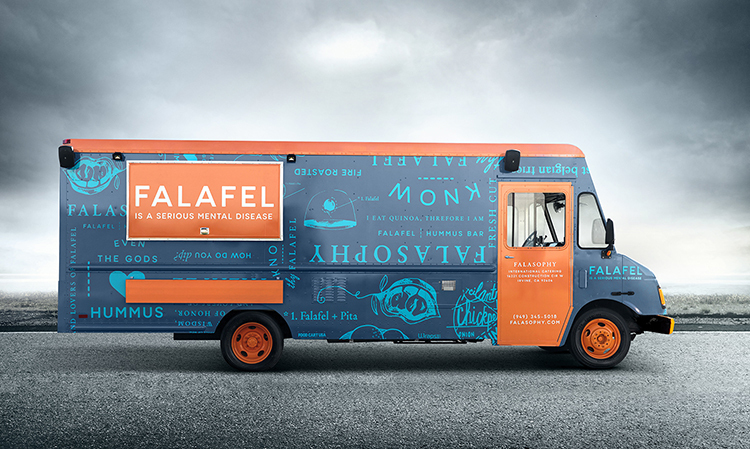 Even if you are not a Jewish fast food fan, this food truck will find the right route to your heart. 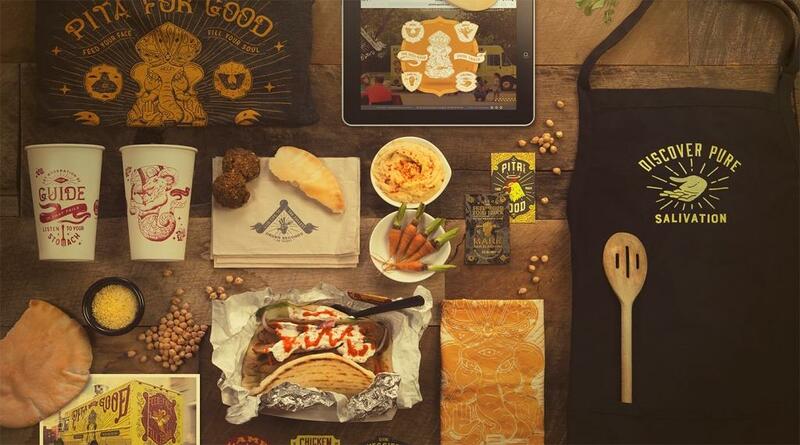 The main star here is falafel. This dish is even mentioned in a play form in the name of food truck – Falasophy, so possible, the beans are not worse than, for example, Kant. 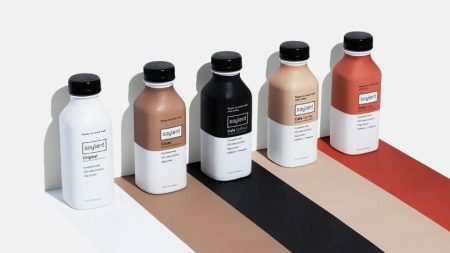 Design was made by studio Design Womb, located between Los-Angeles and San-Fransisco. We wrapped up the brand strategy by finalizing a name and defining a strong visual positioning. 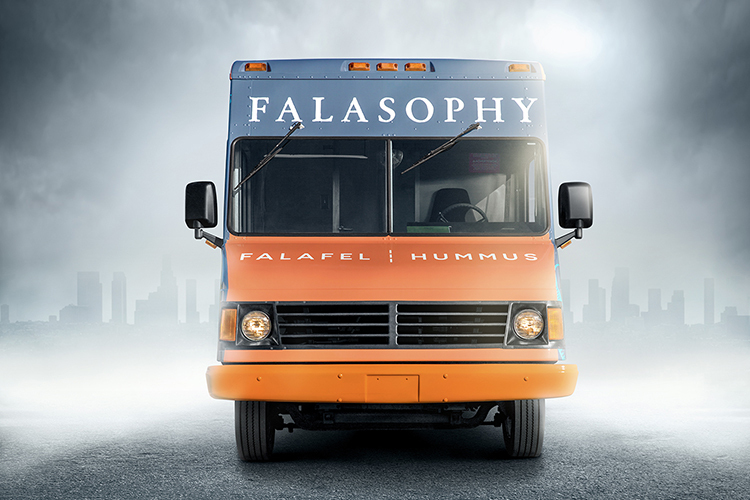 We designed the Falasophy logo, its supporting graphic icons, and illustrations. 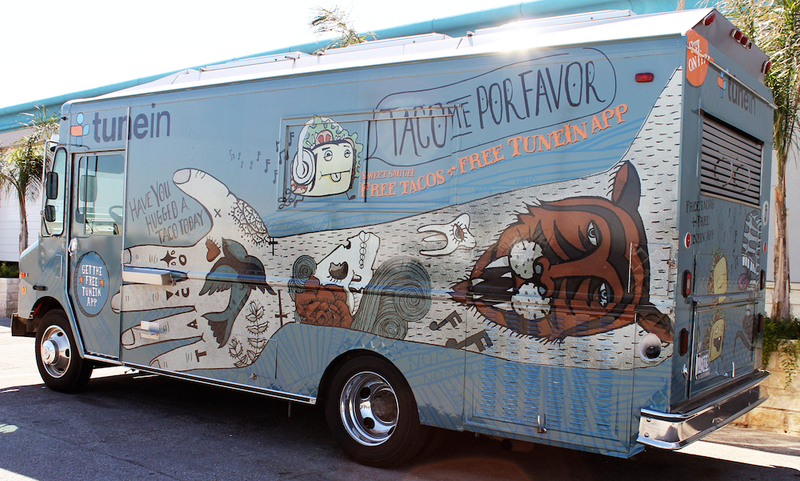 The truck wrap is vibrant and playful. It incorporates a custom repeat pattern of illustrations and Falasophy philosophies. 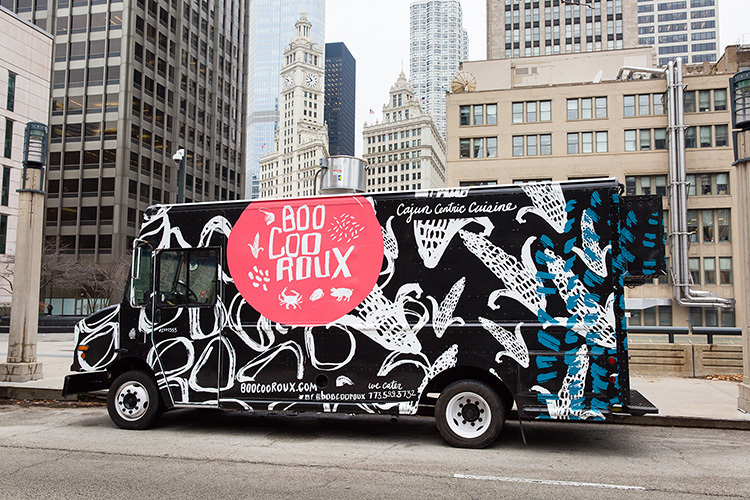 One more project – Boo Coo Roux Food Truck, Чикаго, США. 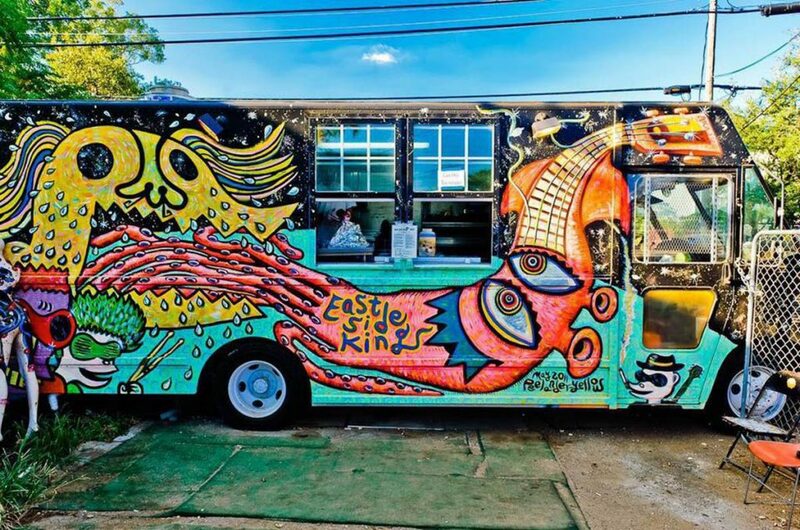 Bright food truck offers customers Cajun food. 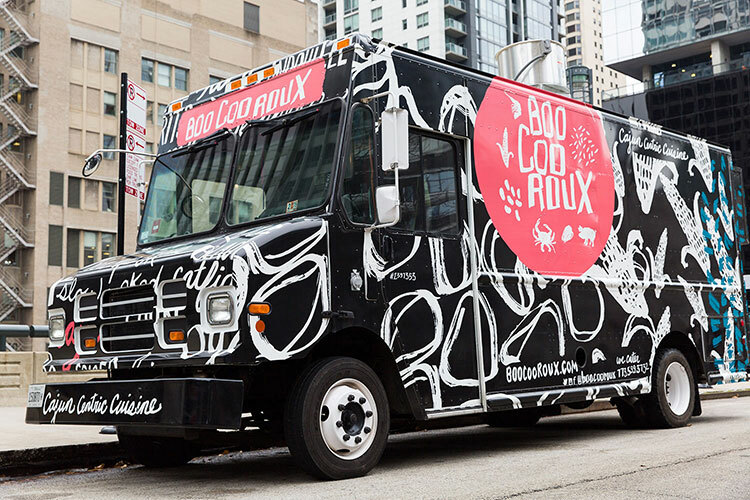 The truck captures the spirit of the south and a fun and edgy twist on Chicago food truck culture, while remaining balanced and sophisticated through the use of selective color. 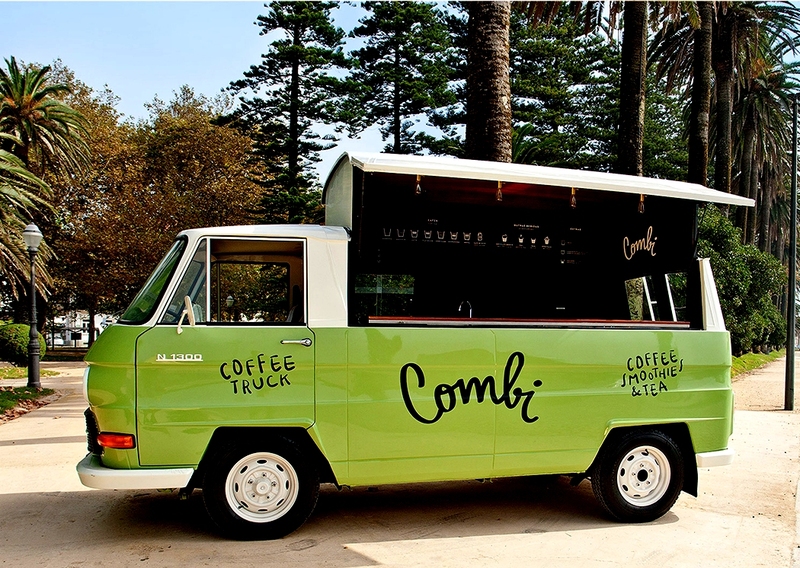 Amazing truck with coffee and deserts. 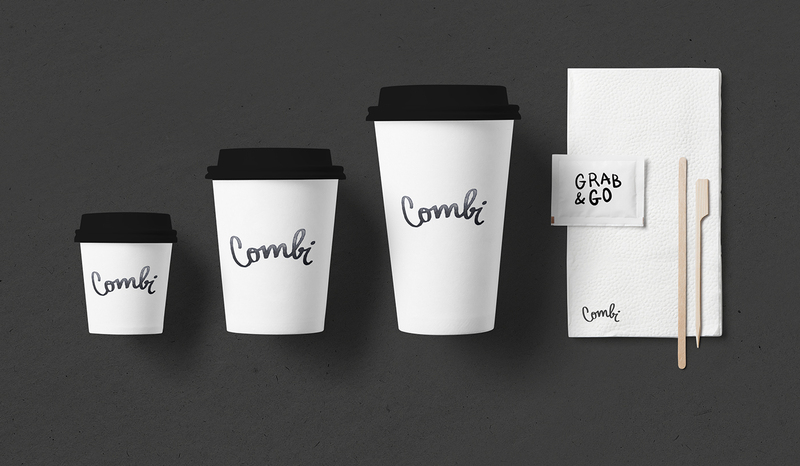 Australian studio Wallnut, who made the design, paid attention for everything, including design of cups for coffee. 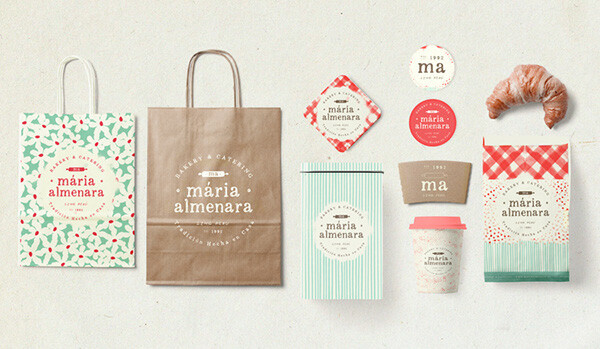 audience with well researched, strategic design and branding communication. These solutions often come with an unexpected or handcrafted feel. We understand details really well. Within details lie the moments of truth where a brand can touch an audience member’s heart in a remarkable way, – they say. 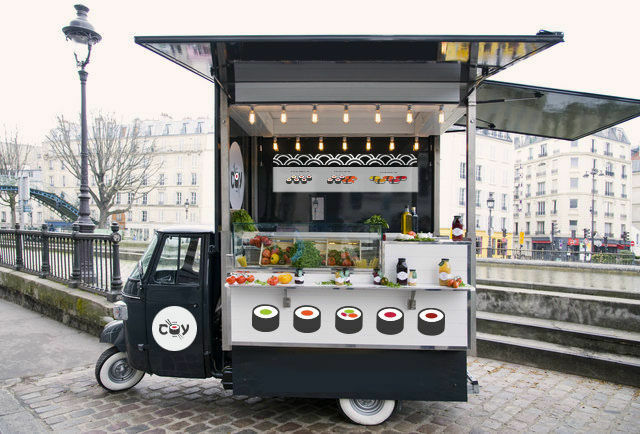 Sushi-bar on wheels? What could be better! Coy Food Truck uses fresh ingredients and trustful design to “force” people buy fresh fish next to the road. The author of design – Alex Celaire from France. 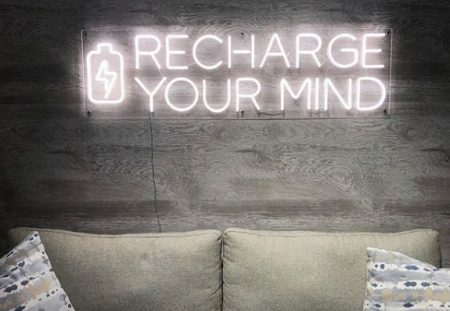 His site is under construction, but Instagram is full of amazing photos. Yes, not only of food trucks. About the studio 327 creative studio, we already wrote, when they talked about the steepest packages for burgers around the world. 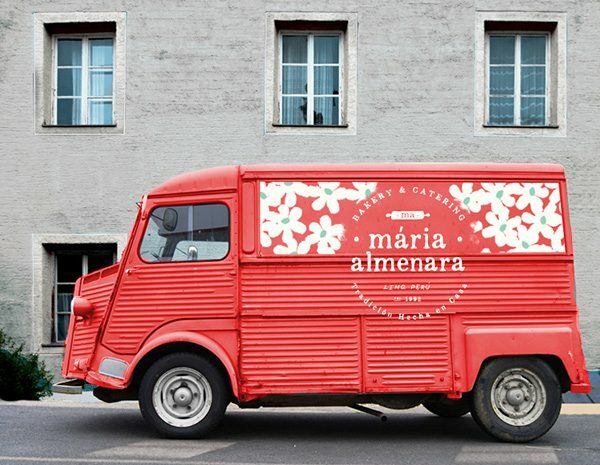 For their neighbors in the city of Porto – Combi Coffee Truck, specializing in drinks: tea, coffee, smoothies, the guys have developed an excellent design in retro style. 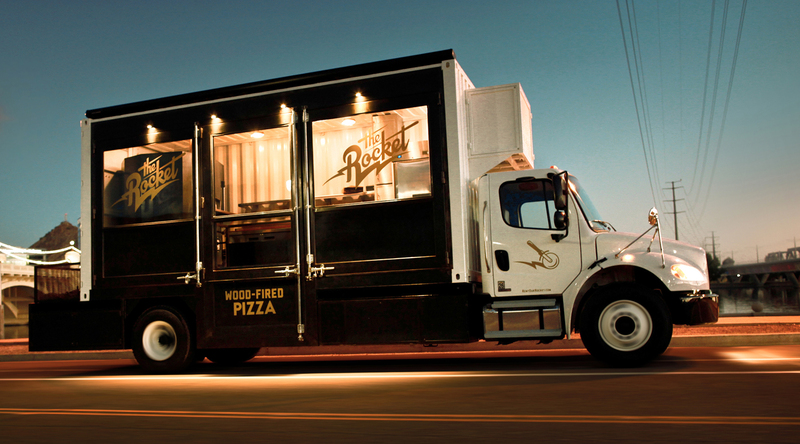 Our goal was to turn the truck into a mobile coffee shop with strong and effective branding. 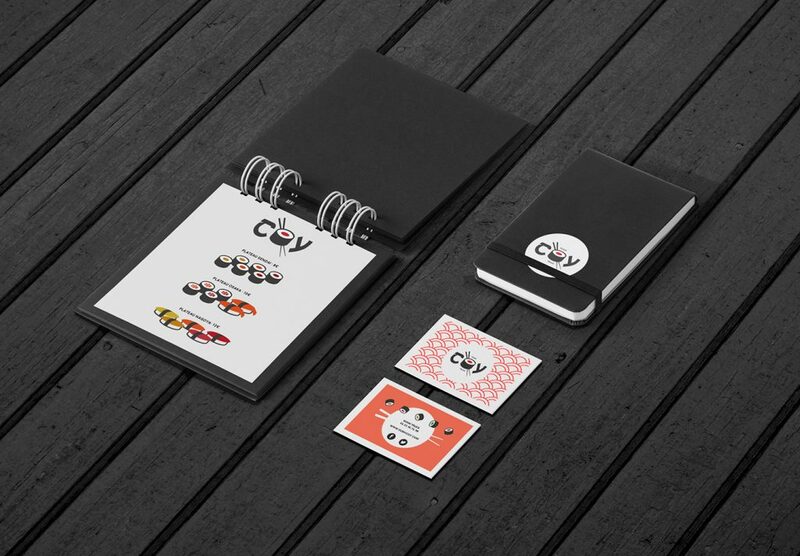 The communicative basis of the project was a short color palette – black, white and olive, a logo and a geometric set of icons. If you do not have time to subscribe to the studio last time – we duplicate Facebook и Instagram. And, finally, a few more photos of the most noteworthy foodstuffs, which can be found from London to Sao Paulo. Posted in Advertising, Art, Marketing, Trends. Bookmark the permalink.